Anti-wrinkle injections/Botox® established into cosmetic practice in 1981. Anti-wrinkle injections or Botox® has established itself as the number one non-surgical cosmetic procedure in the world since its introduction into cosmetic practice in 1981. Transformative results can be achieved by applying botulinum toxin injections into specific facial muscles, temporarily paralyzing them, causing a wrinkle-erasing effect. Here at VEGA Clinic, we offer our patients a wide variety of options for their cosmetic needs. Due to the high rates of success and minimal downtimes, anti-wrinkle injections are certainly our most popular procedures and sought after by women and men of all ages. It is reported that almost 3 million people worldwide have been injected with anti-wrinkle injections and 87-90% have reported amelioration of wrinkles in less than a week. Some patients report dramatic visible results in as little as 3 days of injections with minimal to no discomfort. Cosmetic Botox® is indeed a leader in the rejuvenation revolution and is instrumental in transforming cosmetic clinical practice like no other non-surgical procedure. It’s important to have realistic expectations and be properly informed about the expected results and potential side effects. Feel free to discuss any concerns you have regarding your ‘problem zones’ before treatment so that our physician can establish a dosage regimen and is aware of your concerns. Anti-wrinkle injections were FDA approved in 2002 where the cosmetic indications include ‘prevention and treatment of moderate to severe dynamic wrinkles and cessation of excessive sweating’. Dynamic wrinkles, also known as ‘wrinkles in motion’, develop slowly over time due to the constant contraction and relaxation of facial muscles also known as ‘muscles of facial expression’. Injection of botulinum toxin is particularly effective in managing moderate to severe crow’s feet and frown lines that occur in between the forehead in adults. Static wrinkles, or ‘wrinkles at rest’, are more difficult to treat as they involve the deeper facial muscles, but clinical observations demonstrate that regular applications of anti-wrinkle injections can prevent wrinkles in motion from becoming the more stubborn wrinkles at rest. This is a novel and emerging new trend in cosmetics that can be viewed as a preventative measure applicable to a younger population. Botox® will benefit wrinkles which were formed due to repetitive muscle contractions. An adjuvant treatment along with non-invasive laser or light-based rejuvenation and facial contouring modalities such as Kybella, Juvederm, and other injectables. Anti-wrinkle injections are derived from a bacterium known as Clostridium botulinum. Neurotoxin A, also known as botulinum toxin (BTX), is extracted, purified, and vacuum-dried to create the final product known as anti-wrinkle injections for cosmetic use. After our Doctor mapped out the facial muscles that require treatment, anti-wrinkle injections are injected directly into the hyperactive muscle. BTX will cause a temporary flaccid paralysis (lack of contraction) of the muscle within 48-96 hours. 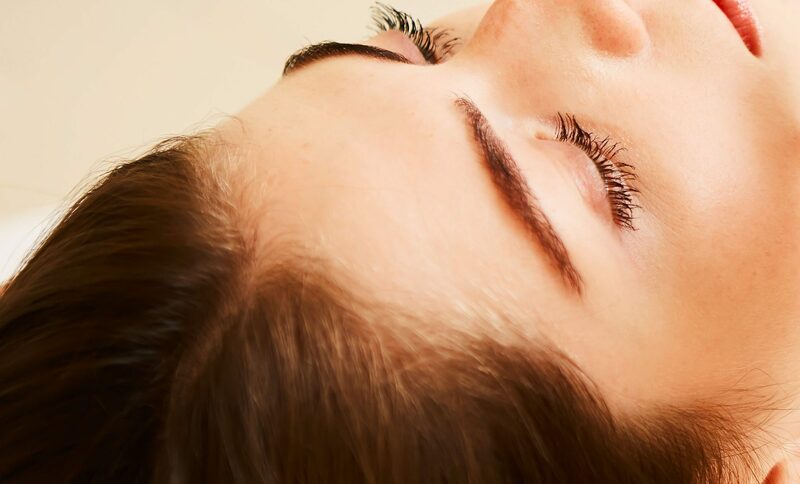 The resulting relaxation will cause a wrinkle smoothening effect and gives the patient a calmer appearance. Peak maximum effect can be expected in about 1-2 weeks. After our Doctor has decided on a proper treatment regimen, you will be asked to sign a consent form before treatment commences. A semi-reclining position where the upper body is elevated is preferred, or a normal sitting position can be taken. Ice packs can be applied to the area being treated. Tensing the muscle before injections will prevent any unpleasant sensations and limit bruising. The required units of anti-wrinkle injection are then injected directly into the target muscle. Our Doctor will decide what area to inject and the dosage required for optimal benefit. Since the procedure itself is relatively free from notable effects and is rather quick (10-30 minutes for a full session), it can easily be performed as a lunch-time procedure where you can return to work immediately. The most important aspect of the procedure is that you stay relaxed and maintain complete confidence in the experts a VEGA Clinic. Staying relaxed will make the procedure go much more smoothly and reduce unnecessary anxiety that can negatively affect the outcome and may even trigger an unnecessary vasovagal response. It is preferred that the patient refrains from touching/manipulating the treatment area for a few hours. Try to remain in an upright position for about 3-4 hours. Wait patiently for results to manifest. It has been observed that it typically takes anywhere from 48-96 hours for results to appear. Inform us immediately if any unusual side effects occur or if you do not see any positive effects at all (which is uncommon). It’s best to avoid harsh sunlight or strong facial treatments for a few days after receiving BTX injections. Avoid strenuous exercise for a few days following treatment. As mentioned previously, results can be expected from anywhere between 48-96 hours depending on dosage, the severity of wrinkles, unique facial musculature, and site of action. Maximum benefits can be observed by about 1-2 weeks. Results can typically last up to 3 months or more. When you notice a re-emergence of lines, it’s best to make an appointment for anti-wrinkle injection follow-up treatments. Allergic reactions like itching and rashes. Discontinue all blood thinners 1 week prior to treatment (e.g. Aspirin, high dose Vit.E, St. John’s Wart, high dose fish oils, and NSAID’s). Do not consume alcohol 1 week before treatment as alcohol diminishes blood flow to the tissue and consequently hinders the efficacy of BTX. It’s better to avoid strong caffeinated drinks and beverages just before treatment. Inform the Doctor if you have received injections of botulinum toxin in the past 4 months. Reschedule the appointment if you have a skin infection at the site of the injection. Inform your Doctor if you have received antibiotics by injection, or take sleep or allergy medications. If you take any type of muscle relaxants. If you are allergic or hypersensitive to any component present in BTX formulations. If you have muscle atrophy or weak muscles. If you have difficulty in swallowing due to any condition. Here are the absolute contraindications whereby you should not receive BTX injections. If you suffer from neuromuscular disorders such as Myasthenia gravis, Lambert-Eaton Syndrome, ALS, or Lou Gehrig’s disease. If you are pregnant or lactating/breastfeeding. Any medical conditions that have resulted in facial weakness or have caused an abnormality in facial innervation. If you plan to have facial surgery or plastic procedures. If you are planning for invasive-laser rejuvenation. One complete session with anti-wrinkle injections will take 10 years off of your face and result in a positive transformation.